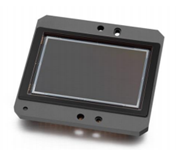 The KAI-16070 Image Sensor is a 16-megapixel CCD in a 35 mm optical format. Based on the TRUESENSE 7.4 micron Interline Transfer CCD Platform, the sensor provides very high smear rejection and up to 82 dB linear dynamic range through the use of a unique dual-gain amplifier. Flexible readout architecture enables use of 1, 2, or 4 outputs for full resolution readout up to 8 frames per second, while a vertical overflow drain structure suppresses image blooming and enables electronic shuttering for precise exposure control. The sensor is available with the TRUESENSE Sparse Color Filter Pattern, a technology which provides a 2x improvement in light sensitivity compared to a standard color Bayer part. The sensor shares common pin-out and electrical configurations with a full family of Truesense Imaging Interline Transfer CCD image sensors, allowing a single camera design to be leveraged in support of multiple devices.